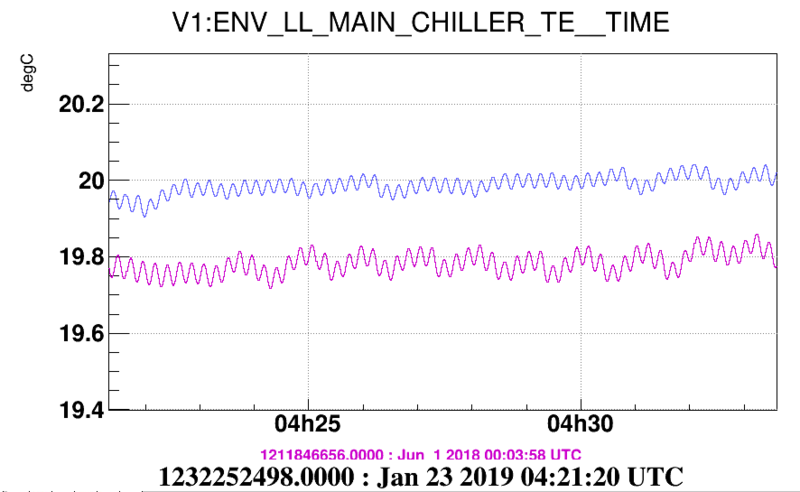 As observed by Irene, we experiment some oscillations of the laser temperature since december. This morning we have reset the PID setup without any improvement so we swaped to the spare chiller (plot 1). The chiller 2 is powered on UPS. 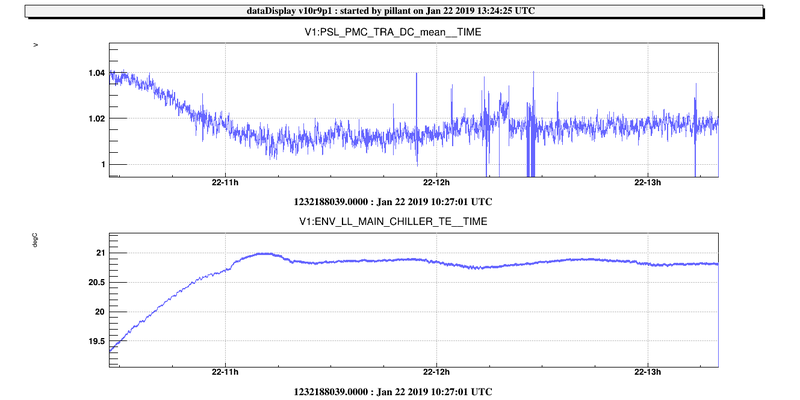 Figure 2 is a zoom of the signal for Chiller 1: see a magnetic glitch coincides with the chiller increasing vibration (something is starting which has significant inrush current... as shown in previus entries these glitches are also seen in the mains probes). Waht seems strange is that at this time the temperature of the chiller water starts to increase(!) by some tenth of deg. in a few seconds (it seems a lot). Figur 3 is a zoom of the signal for Chiller 2: see there are no correlated magnetic spikes, and the chassis vibration is much less, we can barely appreciate a modulation that seems in-phase with that of the water temperature. The temperature is much more stable, a few hundredth of deg. 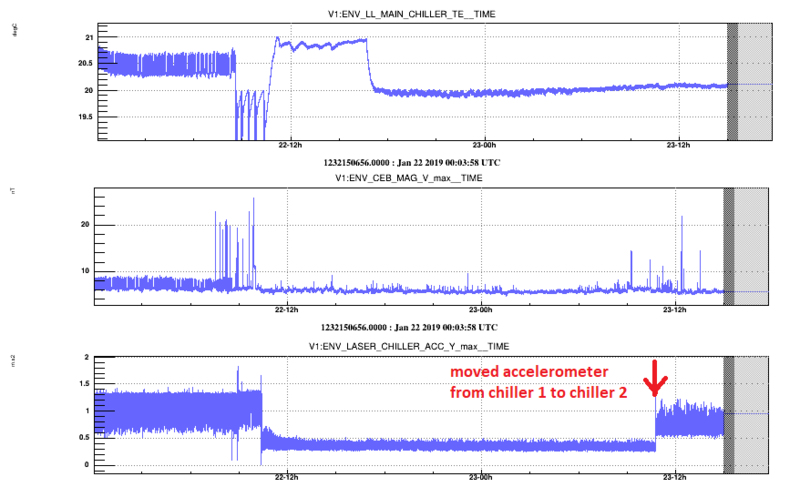 Figures 4 and 5 compare water temperature now with Chiller 2 and how it was with Chiller 1 back in June: they are similar. 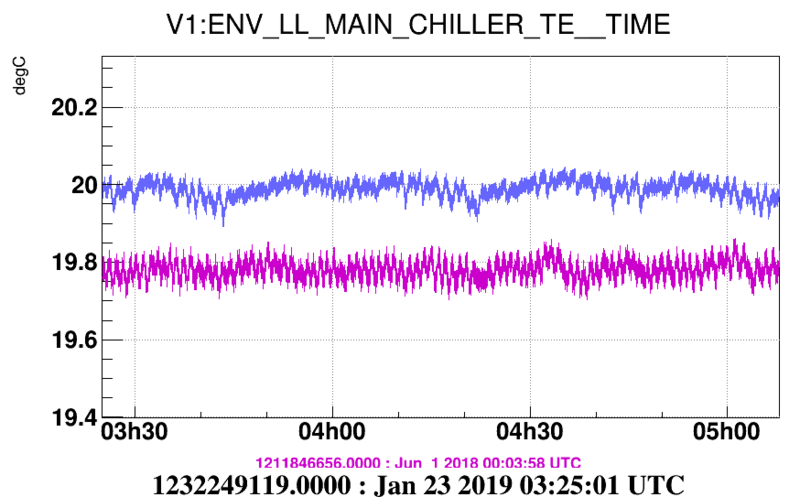 We should conclude that the misbehaving of the Chiller 1 is not due to a change in the environment but an actual failure of the device.